An integral member of the Marshall White One team, Evelyne’s relatable and effervescent personality ensures her clients feel at ease throughout what can undoubtedly be one of life’s most involved milestones. 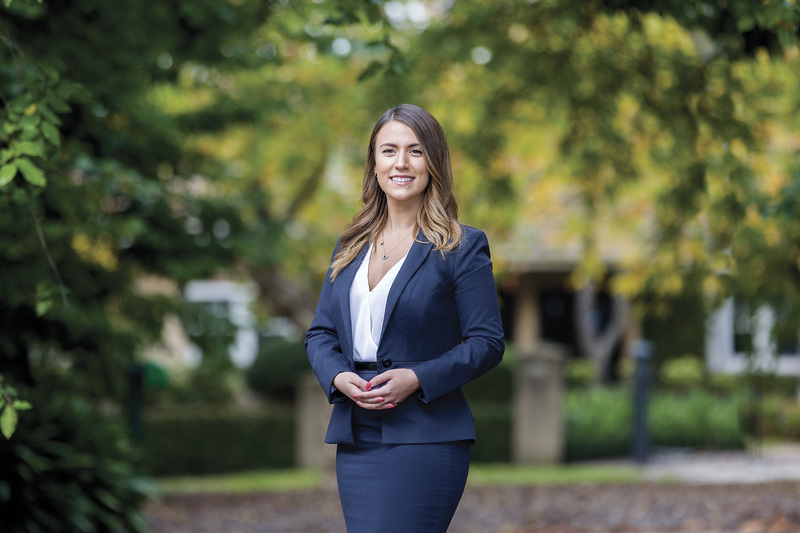 Having grown up in Bayside, Evelyne felt a strong drive towards a career in real estate since her formative years - a passion that ultimately saw her complete tertiary studies specialising in property at the University of Melbourne. Coupled with an acute awareness of the gravity of property decision-making in an individual’s life and an unmatched attention to detail, she is deeply committed to achieving the best possible outcomes for her clients. As she develops expertly tailored plans to suit each client, Evelyne prides herself on her ability to ask the right questions, a skill well-honed through an extensive career in customer service. Evelyne is especially motivated toward creating a transparent, smooth transition for vendors, first homebuyers and investors. She relishes the opportunity to utilise her multi-faceted experience in real estate and sales to guide her clients to achieving their property goals. A champion of the Marshall White One service, she cites the incredible team involvement and cohesion throughout the entire sales process as key contributors to their ongoing success. Jack and Evelyne had a clear plan for the sales campaign and detailed feedback was provided by Evelyne after every inspection about prospective buyers. This included feedback about the asking price, prices of competing properties and the pros and cons of the apartment as seen by those who inspected. Evelyne was quick to respond to any questions that I had and along with Jack offered good advise regarding the options available at each stage. Jack was excellent throughout the negotiation process with the final buyer. Amanda Hogg was also very helpful taking care of the administrative side of the selling process and was quick to respond to all queries. The property was sold in approximately two months. Overall it was a great selling experience and a great team to have worked with. Evelyne and the team were fantastic, although nerve racking it's been a really smooth and thorough process, we've been very impressed. The amazing result we achieved is because of her hard work and thorough follow up, keeping us informed every step along the way. We couldn't be happier and would highly recommend her and the team.